Dr.Organic Orgnanic Tea Tree Pure Deodorant is a natural, effective way to protect from the bacteria which cause body odour and to deodorise the skin without harsh chemicals. This odour fighting formulation is easily absorbed and gives a natural refreshing sensation to keep you feeling fresh and clean. 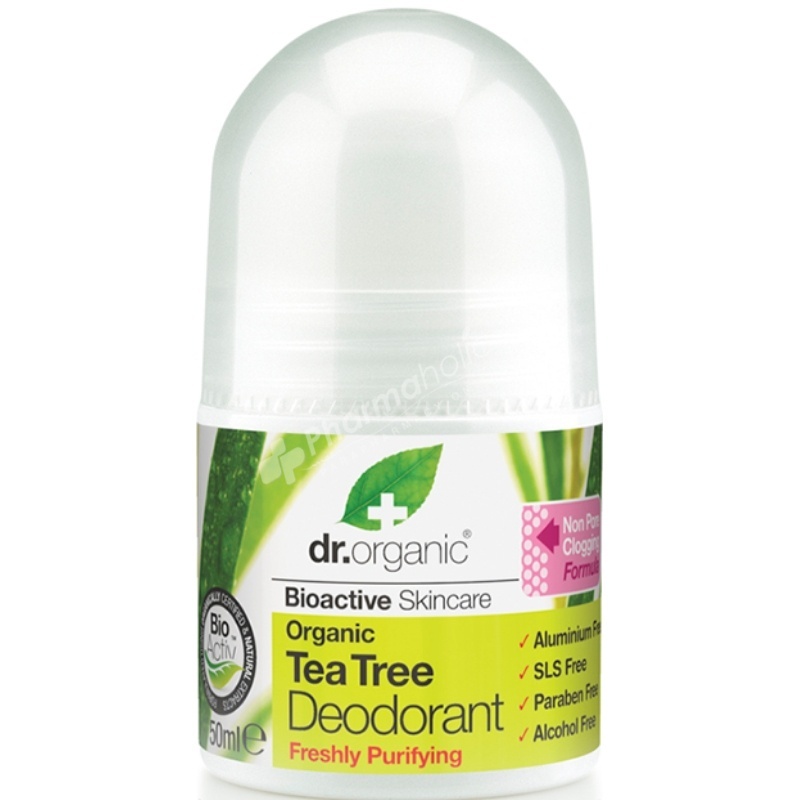 Dr Organics tea tree deodorant is a natural, effective way to protect from the bacteria which cause body odour and to deodorise the skin without harsh chemicals. This odour fighting formulation is easily absorbed and gives a natural refreshing sensation to keep you feeling fresh and clean. Combining aloe vera leaf juice with tea tree essential oil and peppermint essential oil so you can stay fresh using nature's most effective plant based formulas. 100% natural - Paraben free - Aluminium free - Alcohol free - SLS free - Fragrance free - Artificial colours free - Harsh preservatives free. Aloe barbadensis leaf juice, Aqua, Zinc ricinoleate, Triethyl citrate, Lauryl glucoside, Polyglyceryl-2 dipolyhydroxystearate, Glycerin, Cetearyl alcohol, Melaleuca alternifolia oil, Glyceryl caprylate, Sodium bicarbonate, Menta piperita oil, Polyglyceryl-3 stearate, Sodium stearoyl lactylate, Isocetyl palmitate, Cetraria islandica extract, Glycyrrhetinic acid, Tocopherol, Helianthus annuus seed oil, Chondrus crispus extract, Xanthan gum, Sodium phytate, Sodium benzoate, Potassium sorbate, Citric acid, Limonene.